Home / Media Centre / What can you expect from us at Future Dental? What can you expect from us at Future Dental? What can you expect from us at Future Dental? Probably what you will not expect from us is more relevant to you. 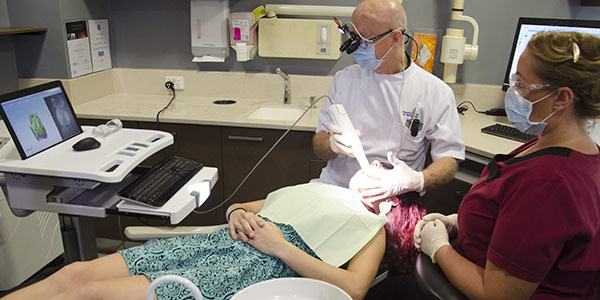 We have unfortunately seen many trends and changes in dentistry since the mid-seventies. In those days doctors and dentists were believed and even held with some esteem. Professional ethics seemed of paramount importance then. In the tough economy in the Western World now, pressures on professionals have forced some to succumb to slick sales pitches to get clients to agree to treatment. Various statements frequently used were and still are designed to get people to say “yes” when their gut instinct tells them to say “no”. There has been a culture in some areas of marketing teaching, especially from certain American speakers, to con people into having treatment. “Is there any reason why you would not go ahead with that treatment today…?” was a popular line. I was always disgusted to even hear that certain practitioners are so desperate for business that they would stoop to sales hype like this to feather their nests. Ultimately, if a client did not have to contribute to payment for treatment, they could easily agree to having work done. The simple facts are that most people do not have that luxury and do have to pay for treatment themselves and it just has to fit into the family budget. People are sophisticated now and it is very easy to see through false interest shown to them and genuine care is not something that can be contrived. You will never experience slick sales talk at Future Dental and you will always be offered the treatment options that we would have done ourselves if we were under the same oral health and also financial circumstances. This will be different for everyone. Your decisions will always be respected and you will be supported in your decisions. Practicality is something that comes with the maturity of a practitioner and you may hear us tell you that certain expensive treatments are simply not economically sensible for you depending on your circumstances. Many are surprised that we genuinely do try to save them money and there are numerous small services that we simply add in to your treatment that we do not even place a fee on just to ensure it enhances the longevity of the work you are paying for. After 40 years of seeing the same families through different generations, we have learnt a lot about the longevity of the work we do. In many ways we do offer a unique service because of that opportunity we have enjoyed of observing our own work for so long and this has definitely been an advantage to all of our clients not just those who have been attending for decades. You will also be shown directly the issues that we observe and always have the right to have no treatment as long as you are made aware of the likely consequences of not treating or procrastinating. I always remember the good things about the way the healing professions treated their patients four or five decades ago and the high level of professional ethics and am pleased to have retained that culture with all my team members and practitioners ever since. Just knowing you will never be pressured into doing any treatment and being able to make your decisions based on your own best interests and not that of the dentist is always a relief to our clients and we are often told so.